Posted: Sat Oct 21, 2006 10:28 am Post subject: Help! I'm STUCK!!!!!!! alright..... some people died. my graveyard is packed and i have a population of 90 again. i got the golden child! 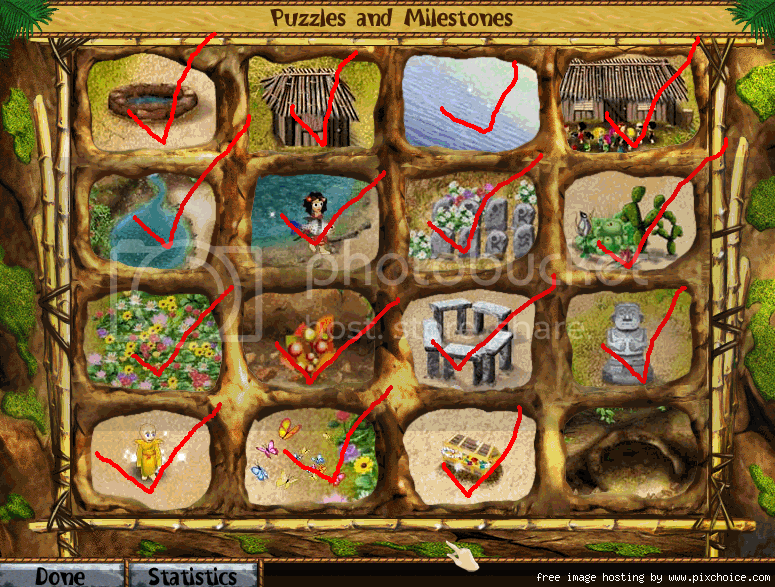 i have all the milestones complete except for the moving the boulder one. how do i complete this one? i know the golden child does it but when and how? otherwise go back so you don't see it (you will have to highlight it between the ** so you can see it anyway). Hi.. Im sitting here in Denmark tryind to play Virtual V. for the first time. Is it really taking so many hours just to two bricks off. Im only at my second brick, and i am stuck. How do I get them to go to the water?? i only managed to build a "house"!! somebody help me! !